1 How Important is the Toilet Seat? Glossing over the importance of toilet seats is not a good thing since an extended period on the toilet can turn into a very uncomfortable experience. This is the reason that a quality toilet seat is important for getting the most out of your experience in the bathroom. An uncomfortable toilet seat can even lead to bruises and rashes, so then it goes from being a minor irritation to a serious ailment. Once a bruise or rash appears on your body, it becomes an increasingly uncomfortable experience since you can’t really keep off of the seat without magically hovering. Avoiding that scenario is possible by making the right choice from the start rather than having to fix it later on. Not all toilets ship with seats, so that gives many consumers a prime opportunity to pick what they are most comfortable with. This guide will introduce you to some of the things to watch out for when choosing a toilet seat. How Important is the Toilet Seat? The first thing that comes to mind when you think of comfort is soft. And not only are you in luck, but there are many toilet seats out there that are as plush as pillows, but as durable as ceramic. When you sit on them they breathe and slowly form a comfortable layer around your legs and backside. Some companies have even gone so far as to offer memory foam toilet seats. These are quality items that haven’t fully caught on as much as the memory foam craze in other industries, but they are still a force to be reckoned with. But soft types aren’t the hottest selling kinds of toilet seats, and for a variety of reasons. Instead several of the hard types like wood have become popular, as you’ll find more hard types in homes than the soft. Hard toilet seats can be an acquired taste, especially if you’re sitting on them for long periods of time. Their benefits far outweigh their cons, and it is great to see that the two are still going head to head. 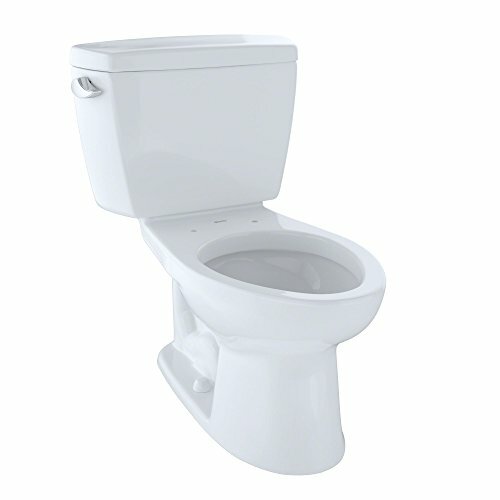 Soft toilet seats have the unfortunate problem of not being as easy to clean as hard toilet seats. This is because a lot of soft toilet seats have tiny little pores to breathe when you sit on them. These tiny little pores can collect all types of oils and dirt from the skin, a collection that could grow into a camping ground for bacteria if not cleaned regularly. Users that sweat a lot will also notice cleaning a soft toilet seat to be a chore, and in many cases the damage done is irreversible. This means that permanent stains will find their way into the seat without any way of removing them, and all from bacteria from your own body. This sounds like a real nightmare, but can be avoided by purchasing great quality soft toilet seats and avoiding middling and generic brands. The danger of a great soft toilet seat being ruined is still possible, and a lot more than if you would buy a hard toilet seat. Starting with the hard seats, you’ll have the choice between plastic and wood. Plastic are the least expensive you can get and is a very easy to find and clean material. But they are also the least durable of the types listed, and prone to wearing out from heavy usage. Scratches and cracks are a norm for these types of seats, at which point you should replace them since they become a bacteria danger at that point. Wood toilet seats are popular, and are great because they are the most durable of all types and don’t give you a shock to your spine when you sit on them during the cold season. They naturally stay warm but they are also harder to find and more expensive. Wood toilet seats are probably pretty even on the comfort level when it comes to sitting for extended periods, but they are also the best to clean and don’t hold a lot of bacteria. And then there is the soft toilet seat, the most comfortable of all the types but also the most prone to bacteria and germ growth. These are generally not as expensive as wood toilet seats, but because you should only buy the top tier when it comes to soft toilet seats, they can quickly become as expensive or more than all the types. There are a lot of other innovations that go along with toilet seats, like better closing technology, electric seat warmers, nightlights and even scented seats. With all of the extra features available it’s just easier to focus on the core and worry about whether you want a soft or hard seat. No matter which one you choose, it’ll be a great choice as long as you take care of it.